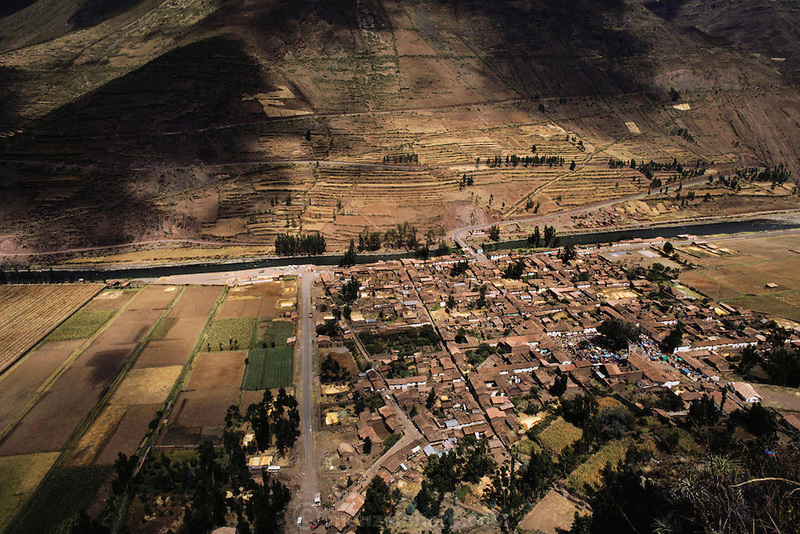 Pisac, Peru, seen from the Inca ruins on the hill overlooking the town in the Urubamba Valley, the Sacred Valley of Incas. Sunday market is in full swing in central plaza of the town. Wide view of town.